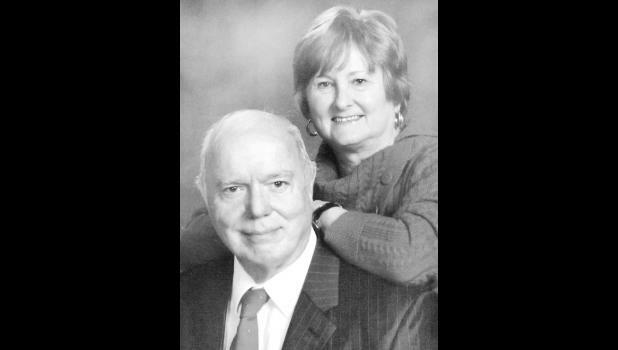 Bill and Joanne (Bross) Berns of Hoyt will celebrate their 50th wedding anniversary. They were married May 27, 1967 at St. Joseph Church in Shawnee. Bill retired from the state of Kansas in 2006. Joanne retired from the Parents as Teachers program at Royal Valley Elementary School in 2015. The couple has six children, Emily Berns and her husband, Ed Hoyt; Elizabeth Romeiser and her husband, Scott; Nancy Berns; Joe Berns and his wife, Stephanie; Anna Cline and her husband, Mike; and Tammy Berns. They also have 13 grandchildren, Nicholas and Alister Berns-Hoyt, Scott, Jenae and Melissa Jace (M.J.) Romeiser, Liam, Zane and Eli Berns, Lily Cline, Andrew and Alysse Berns and Isaac and Ivy Burch. The children have planned a reception and meal for family and friends in Lawrence. The couple will also be renewing their wedding vows on May 28, 2017 at St. Francis Xavier Church in Mayetta.